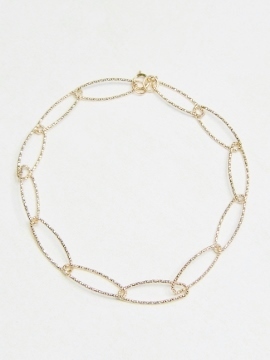 Make a Delicate Statement with these rose gold textured circle cluster necklace! 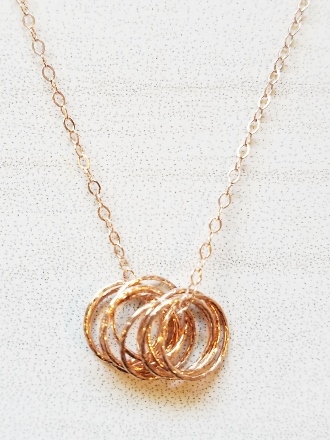 Multiple rose gold circle creates interest and movement, hangs in 18" 14k rose-gold filled cable chain with spring clasp. 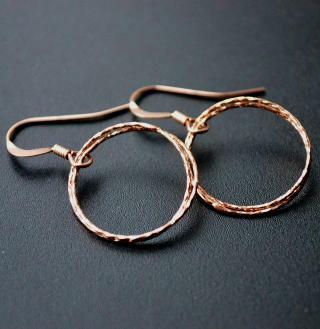 Rose gold circles are over sterling silver. 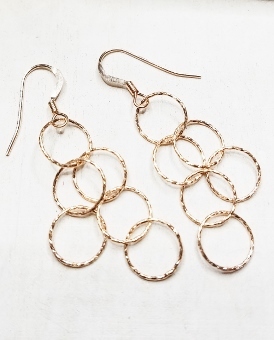 Also available in sterling silver and yellow gold.